Lyndie Haddock, left, and twin sister Lacy Haddock have been there for each other all season following the death of their father in August. Double days were difficult enough. Morning practices, which were without jumping, stretched from 9 to 11 a.m. Afternoon practices, without any restrictions, pressed on from 2 to 5 p.m. But four days in, on Aug. 12, twins Lacy and Lyndie Haddock, a hitter-setter duo for the No. 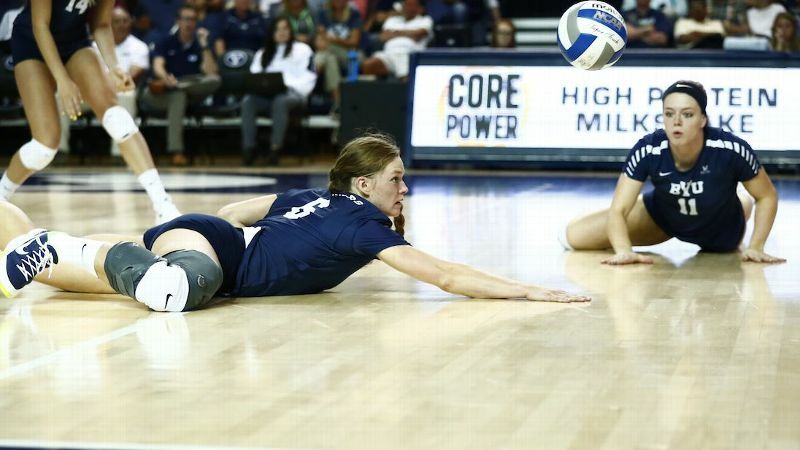 8 BYU volleyball team, faced a day they couldn't fathom recovering from. Their father, their No. 1 fan, Quinn, died from pulmonary thromball embolism, a blockage of an artery in the lungs, with a deep vein thrombosis (a blood clot) in his leg. Quinn, a BYU alumnus himself, never missed a home game. He constantly encouraged Lacy and Lyndie to believe in themselves. He always told them: "Do your best." 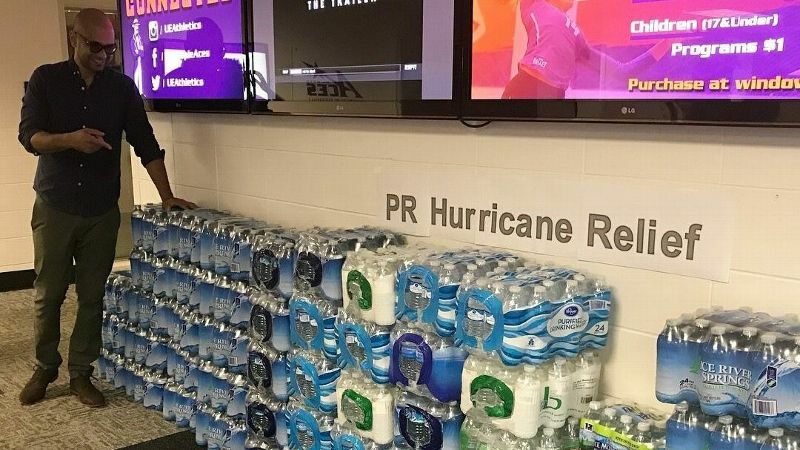 He nurtured Lacy and Lyndie through their high school volleyball and basketball careers, giving them the competitive spark that burns in all the Haddock women (Quinn's other daughter, Tambre Nobles, competed for the Cougars from 2013-14). Lyndie Haddock is averaging 9.85 assists per set this season. BYU's coaching staff told the twins to take as much time off as they needed. But just three days after Quinn's death, Lacy and Lyndie returned to the court. "There's no other place that my dad would want us to be," Lyndie said. "Me and Lacy, we have a bigger drive now. I think it's motivated us even more. 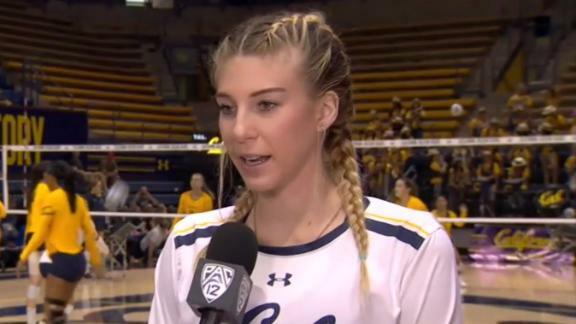 Volleyball has been kind of a sanctuary for me and Lacy to cope, to keep our minds off of it." The twins, both 5-foot-10 and juniors this season, have found strength to stay in the present, helping BYU claim 13 straight wins. The Cougars face No. 18 San Diego in a West Coast Conference showdown for first place on Friday night. 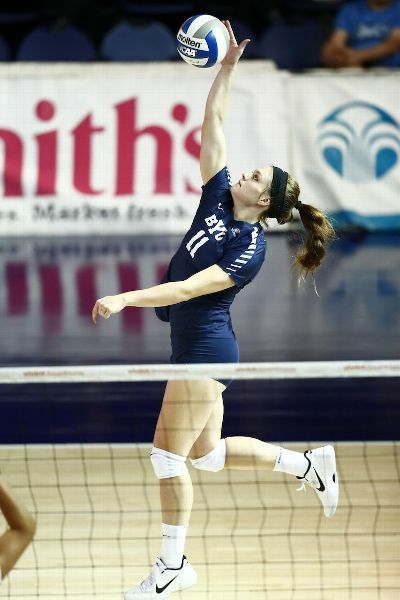 BYU (21-1, 10-0) defeated the Toreros (16-4, 9-1) in four sets earlier this season in San Diego. Lyndie leads the team -- and ranks fourth in the WCC -- with 739 assists and 9.85 assists per set, bringing energy and putting her hitters in rhythm. Lacy, known for her solid arm and keen court vision, is contributing as much as she can off the bench. She was starting at outside but suffered a knee injury after the second match. "They've done a great job leaning on their teammates. 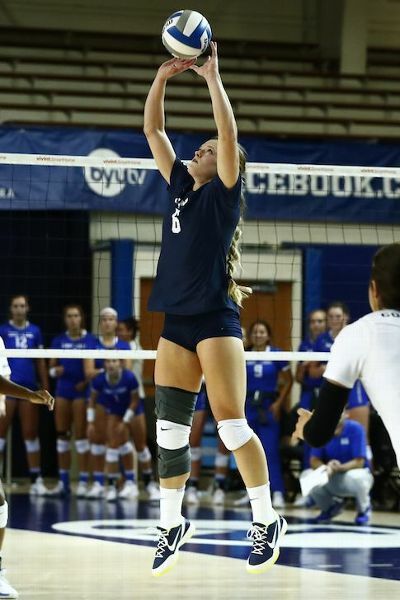 It's made this team closer," said BYU coach Heather Olmstead, who is also a twin. "They don't want to take anything or any time for granted that they have with their friends, family or with this team." The twins' bond goes beyond your typical setter-hitter connection. They always know what each other is thinking. They've always been each other's rock, including when they moved from Colorado to Utah as high school juniors and had to start over and prove themselves at a new school. Lacy Haddock says she isn't sure she could be back on the court without her sister by her side. "We always have each other to talk to when things aren't going well, or if they are going well, we can celebrate with each other," Lacy said. "It means a lot always having that consistent person. You can always count on them. It's like an extra crutch. A lot of people don't have that." The twins need each other more than ever now. Sometimes days can feel like months, and each day brings different emotions. Sometimes one of them feels OK, but the next day could be more challenging for the other. With supportive teammates and coaches, the twins say they don't feel that they have to try to hide their emotions. They let out their pain for however long they need, and then they refocus on volleyball, on staying in the moment, on staying mentally disciplined as best they can. "I don't think I could do it if Lyndie wasn't on the team," Lacy said. "We just have to fight that battle. We've gotten through it together." The scrappy Cougars have battled their own adversity, finding ways to solve problems and edge out five-set victories on the road, including against rival No. 16 Utah, Saint Mary's and, most recently, Loyola Marymount on Oct. 21. "This group has done a good job just controlling what they can control and just focusing on the next touch," Olmstead said. "This is a resilient group who loves to compete. And when you go out to compete, wanting to win with that kind of resiliency of never giving up, I think good things can happen."